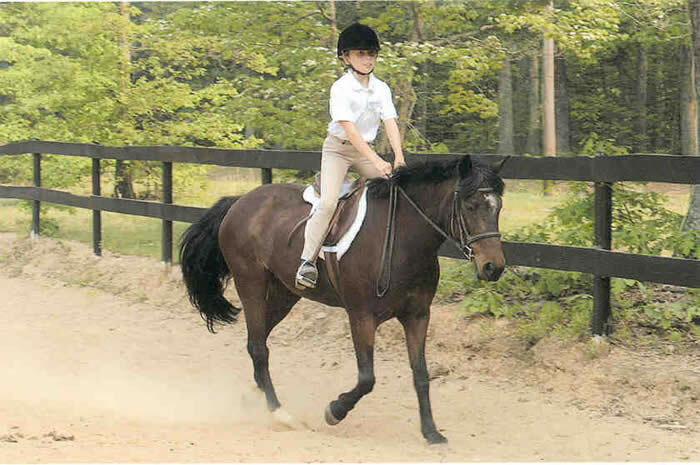 Amber Hill offers individualized instruction for children and adults, beginner through advanced, in Hunt Seat, Equitation, Jumpers, Dressage, Cross-Country, and Combined Training/Eventing. Our programs are designed to fit the individuals level, needs, abilities and goals. We teach whole-Horsemanship, and our teaching methods encourage safety, responsibility, understanding and good sportsmanship. We have a nice selection of horses and ponies to suit every level of rider, or you may ride your own horse in lessons. 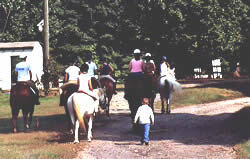 This program is designed for children ages 4 - 6 years old, introducing them to ponies and riding. Our goal is to help children at an early age learn sound basics in safety, care and riding, and the joy that comes with spending time with horses & ponies. Young children have a shorter attention span, so lessons run approximately 30 minutes, and are taught one-on-one only. 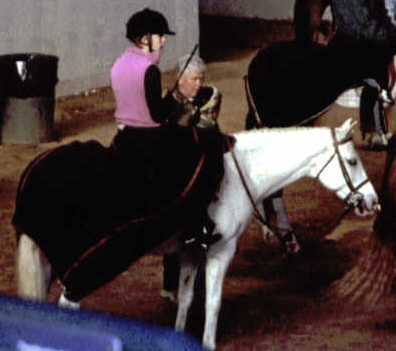 This class is for beginner riders of ANY age, covering the first steps of horsemanship and riding basics, including instruction on safety in handling horses, grooming, tacking and care. Consisting of 1 - 6 riders, Classes are designed to fit the level, needs, abilities and goals of each rider. Lessons are progressive, informative and fun. You may even bring your own horse if you like, even in group lessons. 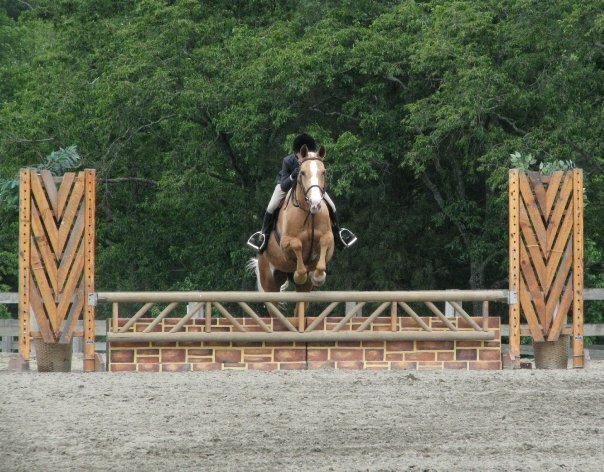 Classes are offered in Hunters, Equitation, Pleasure, Dressage and Jumpers. We offer a one-time, NO OBLIGATION, Evaluation Lesson to help you determine your next steps in your riding. This may be done with your own horse, or one of ours. Instructors are available to coach students at any show, local or rated, from Leadline, Pleasure, Hunters, Equitation, Jumpers, Dressage and Eventing. Show Coaching is also available to Non-regular students. Need just a little help, or just wanting to polish-up? 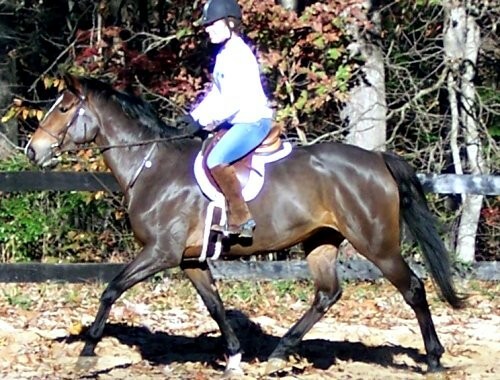 We can assist you in sorting out and solving problems with horse or rider, or just polish-up for a show. We offer individual schooling sessions for those just wanting a session or two. We attend a variety of local, VHSA & BHSA Shows with Amber Hill horses or your own, including attending the annual VHSA Championship Show in Lexington. For those wanting to compete at A-rated Shows, we are pleased to be located within easy access to Commonwealth Park & RoseMount Farm, as well as Keswick, Warrenton, Upperville, and others. Full Board Only, which includes Premium Feeds, hay, bedding, daily turn-out, and use of all amenities. Currently offering DAY CAMP for Beginner to Advanced boys & girls, 8 - 17 years old, as well as "PONY CAMP" for kids 5 - 8 years old. We offer a unique One Week Evaluation of your horse's training level/problems or issue/pre-purchase evaluation/etc. Includes plan or recommendations for owner. No further obligation necessary. Helps you figure out where your horse's training is at. © 2006 Amber Hill Farm. All rights reserved.